Camellia sinensis or green tea has been delivering health benefits from 2700 BC when it was first brewed in China. These health benefits are largely supplied by what are known as “catechins” eight of which are found in green tea. Today, through science and thousands of clinical studies, we understand better the potential health benefits of green tea and how to harness these positive effects. After 10 years of research and development, Origine 8™ delivers a world-first highly bioavailable green tea extract. 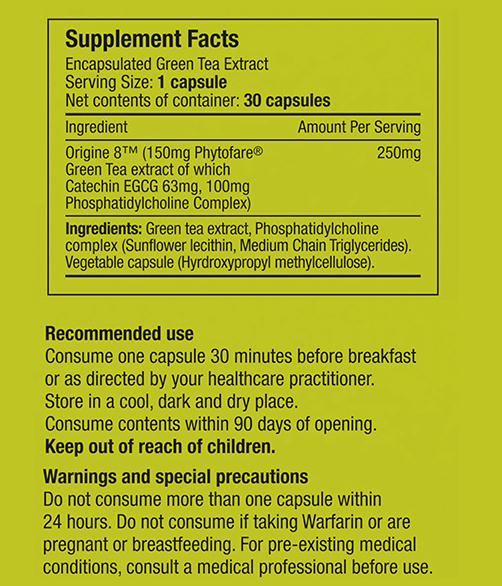 A single capsule taken once per day delivers the polyphenol and catechin content of 25 cups of green tea over a 24-hour period. For the first time, all eight catechins are effectively delivered into the body and this is done without any artificial additives and without all the excessive caffeine found in green tea. 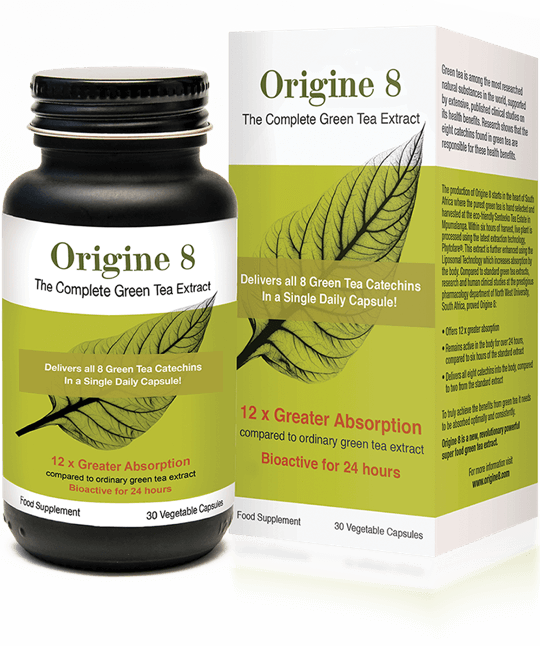 Origine 8™ has been clinically proven to be the most effective and convenient way to unlock and deliver the health and vitality benefits green tea has to offer.